Dr. Jill Dickerson has built a busy and dynamic pediatric practice. When her practice decided to replace its former EHR —abandoning the other software for insufficient templating capabilities — she knew that she needed something that was intuitive, yet well-equipped enough to meet the needs of her practice. Having been in private pediatric medicine for sixteen years, Dr. Dickerson has seen how much time and money are wasted on inefficient EHRs that do not match the pace and demands of a growing practice, are difficult to learn, and/or do not offer sufficient templating options for busy physicians. Dr. Dickerson needed an EHR she could mold to meet the needs of her practice, as well as one that could keep up with the rapidly increasing size of her patient base. 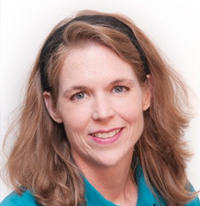 Dr. Jill Dickerson opened her private practice in December 2012. Called Vibrant Kids, the practice focuses on individualized medical care with added emphasis on treating children who suffer from conditions like ADHD, Autism and other chronic diseases and disorders. Vibrant Kids is different from other pediatric practices in that it integrates traditional care with evidence-based biomedical therapies. Additionally, her practice offers one of two lab draw stations in their local county. The lab see hundreds of additional patients each month seeking more efficient lab work, making Vibrant Kids unique in what it needs as far as billing and electronic recording. Dr. Dickerson knew what she was looking for — it was only a matter of finding it. She had used three different EHRs over the years as well as one privately-designed EHR that Vibrant Kids had implemented when it first opened in 2012. Two issues she had with other EHRs (high-operating costs aside) were templates that required her to handwrite prescriptions as well as ineffective designs making the EHR difficult-to-use. “I've used A4 (now Allscripts) and the local hospitals in my county use EPIC. I know the nurses that use EPIC have to click five or six different windows just to accept an incoming phone call. When you’re receiving 30 calls any given morning, this setup is a huge problem for the staff. Furthermore, my practice is always adding more things to our templates, as insurance demands increase. These other EHRs weren’t going to allow me or my practice to do what we needed. If I ever wanted to make a change to them I had to call IT and tell those guys what I wanted instead of making the changes myself. When I first started with EHRs this was daunting because I didn’t really know what I wanted —I just knew that the current EHR process was not quite good enough. But as I became a bit more ‘EHR savvy,’ I realized I didn’t want to talk to someone else every time I wanted to make a change and tell them how I wanted my notes to look. Going into the search for an EHR, Dr. Dickerson had a few nonnegotiable requirements. One important one was that it needed to be visual. “I'm a visual person. I wanted to be able to know quickly where things were on the screen and where I could find features. This enables me to click through it faster and ultimately save time. Dr. Dickerson also needed versatile templates that she could design and replicate herself. “Within the practice we have patients consults that do not fit into a regular type of note, and free-typing notes is just insane. To retype the same type of notes all the time doesn’t make sense, especially when factoring in EHR costs. Dr. Dickerson’s search for a permanent EHR ended at a Medical Academy of Pediatrics Special Needs (MAPS) conference. “I was at a MAPS conference, speaking with other physicians about EHRs they were using in their practices. Over and over I got great feedback about ChARM EHR. These physicians were telling me that I’d be able to design what we wanted out of an EHR and it would save my practice a lot of money for better service. From the beginning Dr. Dickerson found ChARM EHR to be user-friendly. “With the other EHRs it seemed that nobody thought about the physicians and what it really meant to practice medicine when they were designing them. Not having to hand-write every prescription saves an extraordinary amount of time. As a result of this growth, Vibrant Kids has also added a physician assistant, another nurse and additional front office staff.